While playing at The Hat Club Miracle Wiff charity tournament, Rachel noticed John Raymond dive in the outfield to save a home run. Rachel Bradbury of Little Rock has a self-proclaimed competitive nature, especially when it comes to wiffle ball. While playing at The Hat Club Miracle Wiff charity tournament, Rachel noticed a cute, new guy from Mississippi dive in the outfield to save a home run. It was John Raymond Pitre, and Rachel says he nearly gave himself a concussion. The timing wasn’t quite right, but later they were set up on a blind date. 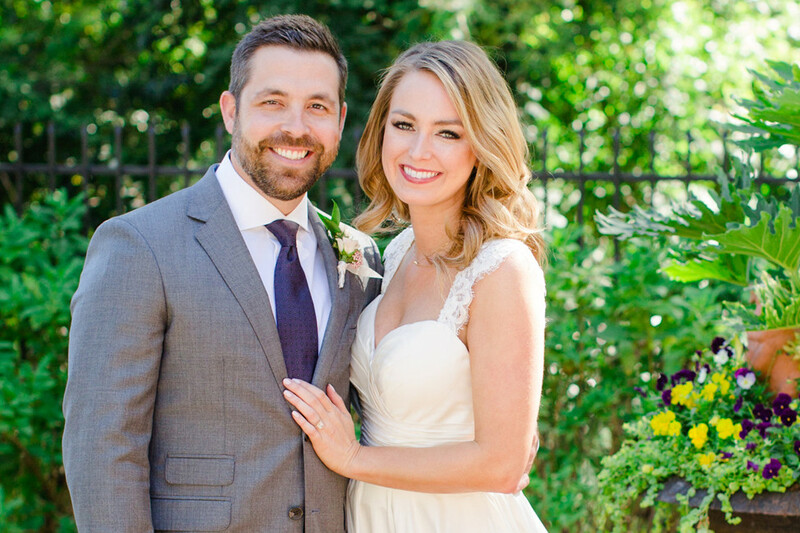 “As I did my recon/social media background check,” Rachel says, “I realized, ‘Hey, it’s the cute concussion guy from Miracle Wiff!’” The two had their first date on Jan. 16, 2015, at So Restaurant. It was a home run. 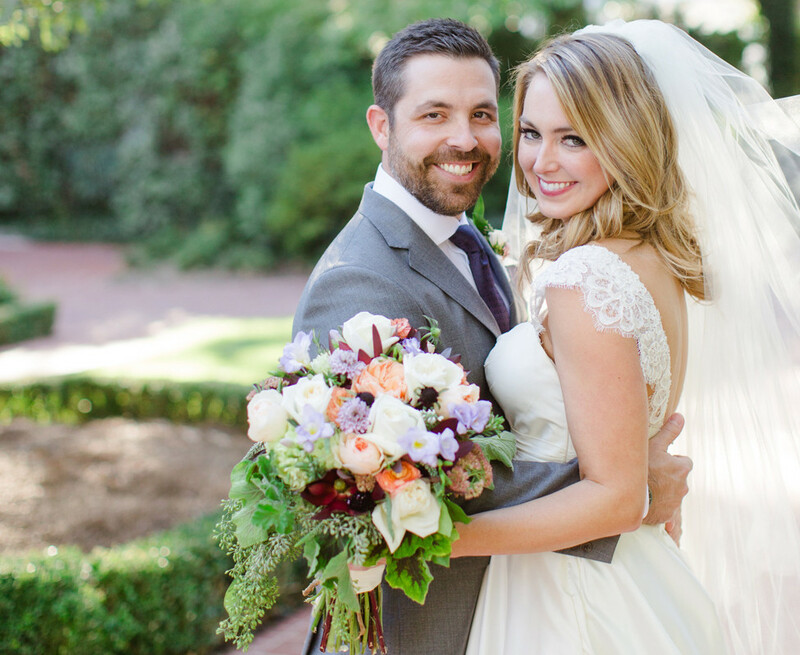 A little more than a year later, John Raymond and Rachel returned to So. This time, he proposed. 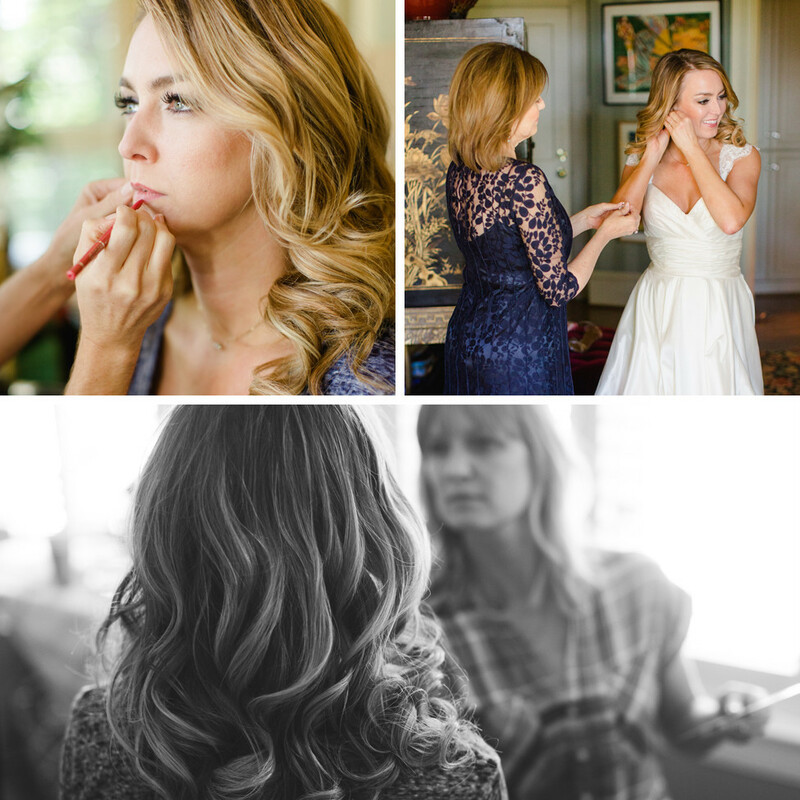 Rachel knew she wanted a fall wedding but not one drenched in typical autumn hues. 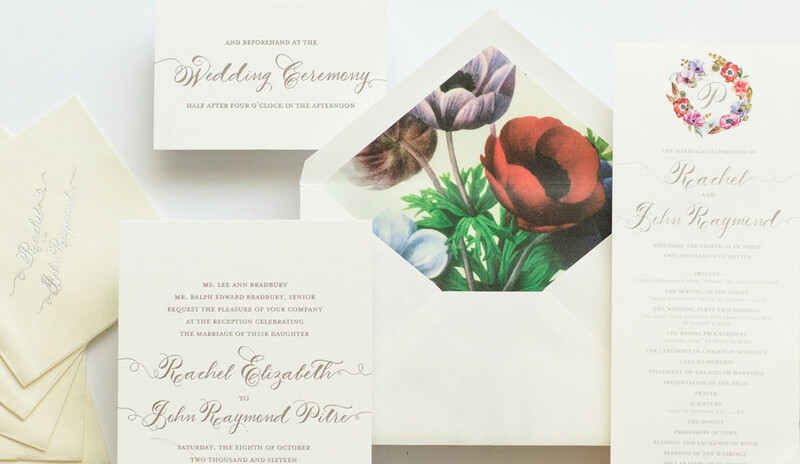 Instead, she opted for a unique palette inspired by the envelope liner of her wedding invitations. 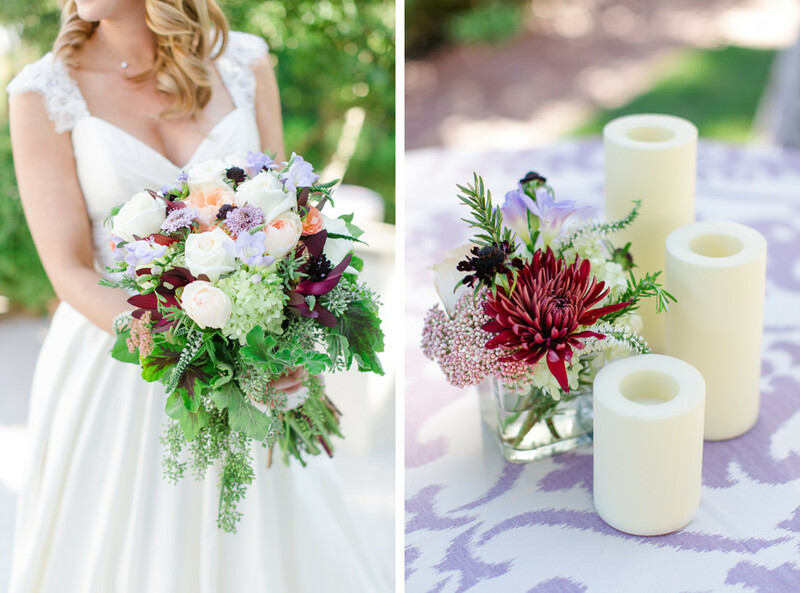 The liner featured anemone flowers in jewel tones that reminded Rachel of beautiful vintage wallpaper. 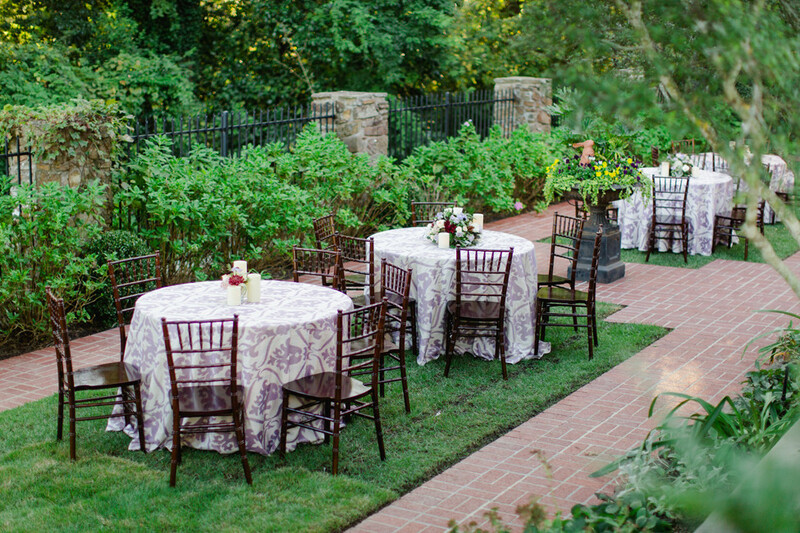 The venue, Rachel’s aunt and uncle’s home, also provided plenty of inspiration for the event. 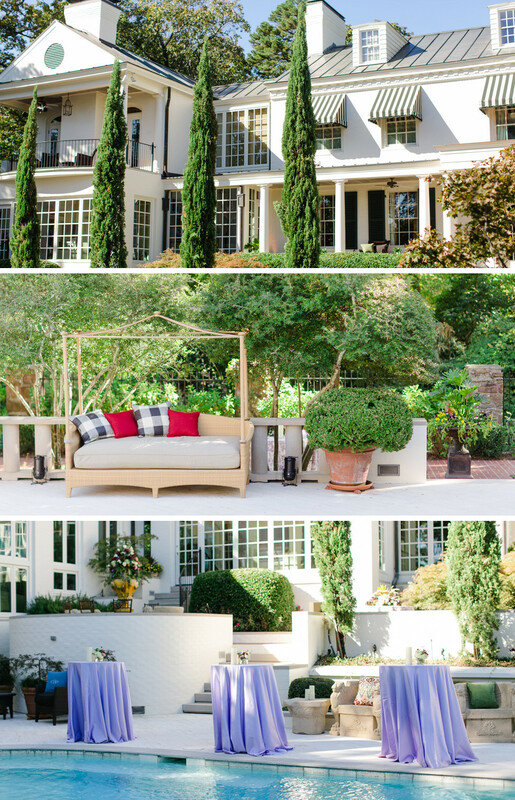 The outdoor space features lots of white brick, terraced patio areas, Italian cypress trees, and striking views of the Little Rock skyline. 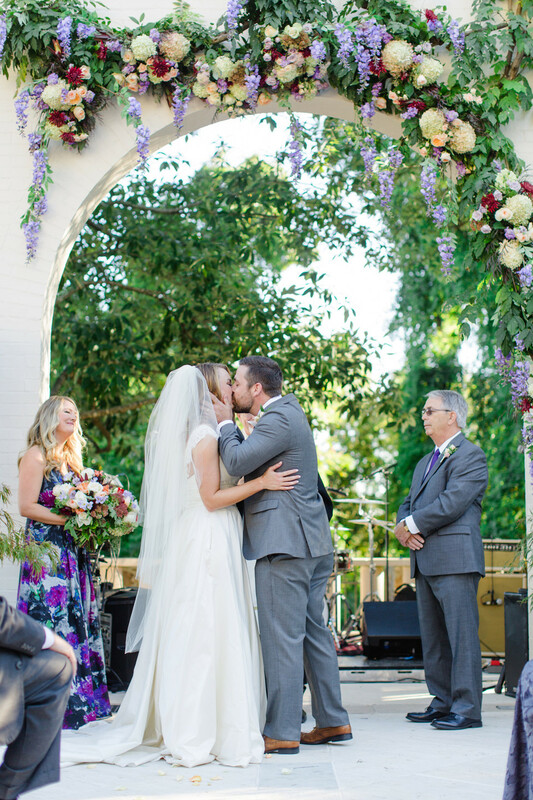 An arch in the middle of the yard donned wisteria and other wedding florals created by Cabbage Rose. 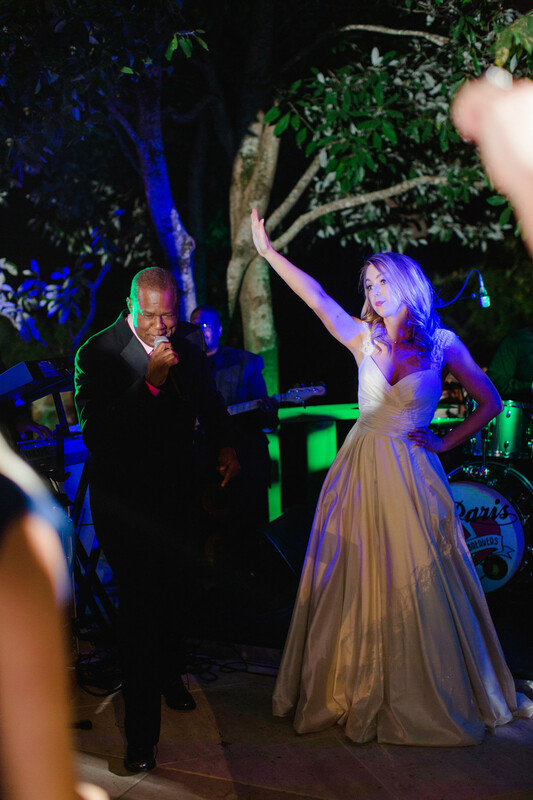 This striking arch served as the backdrop for the ceremony and was repurposed during the cocktail hour into the reception band’s stage. Rachel and John Raymond wanted to include the special children in their lives. 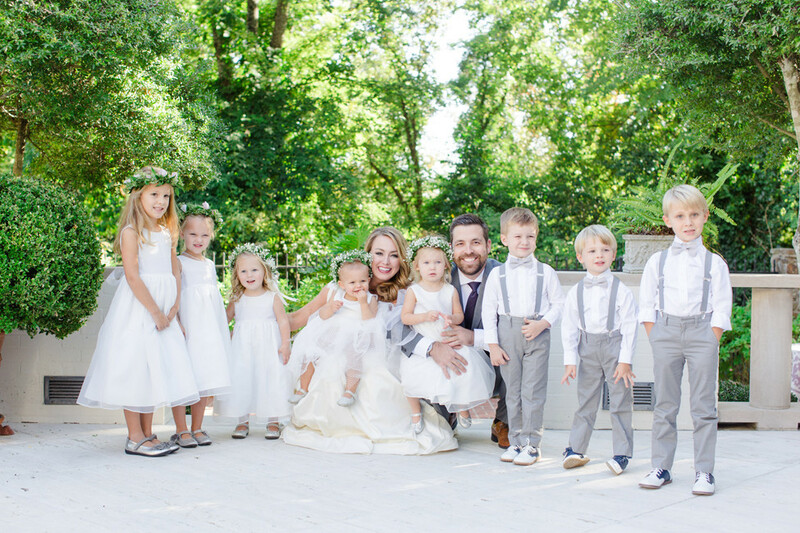 The duo decided on nine “littles” to make up a children's court, instead of a traditional wedding party. 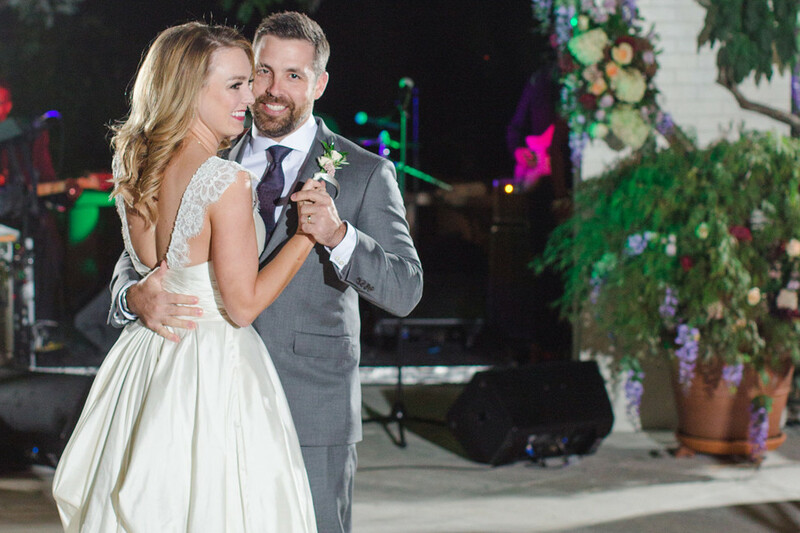 “Each kiddo had a special role in the processional, which we knew would not go as planned, therefore provided great comic relief at the start of the ceremony,” Rachel says. 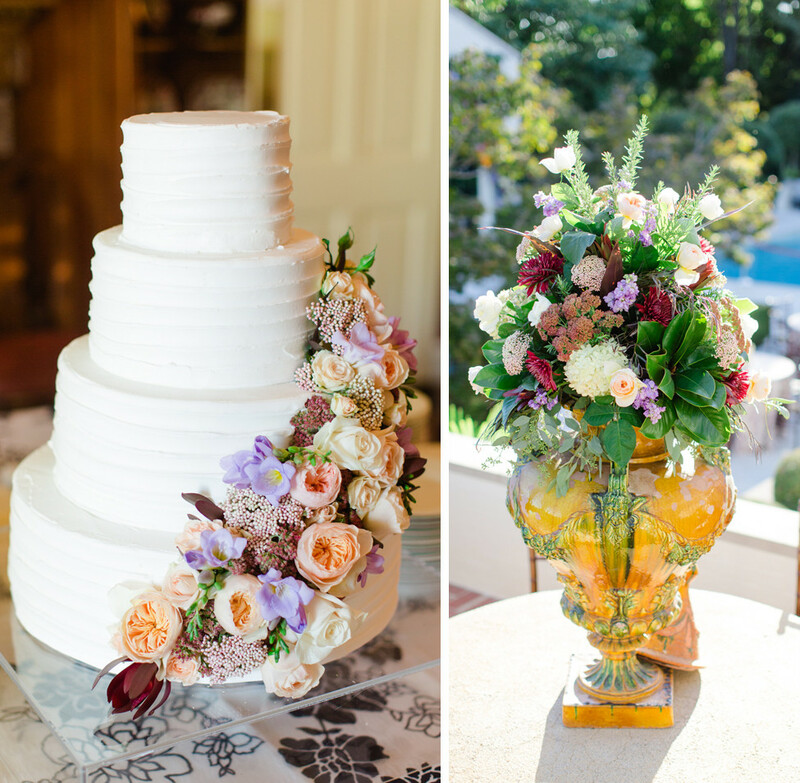 When it came to food, the couple wanted to push guests to try new things. 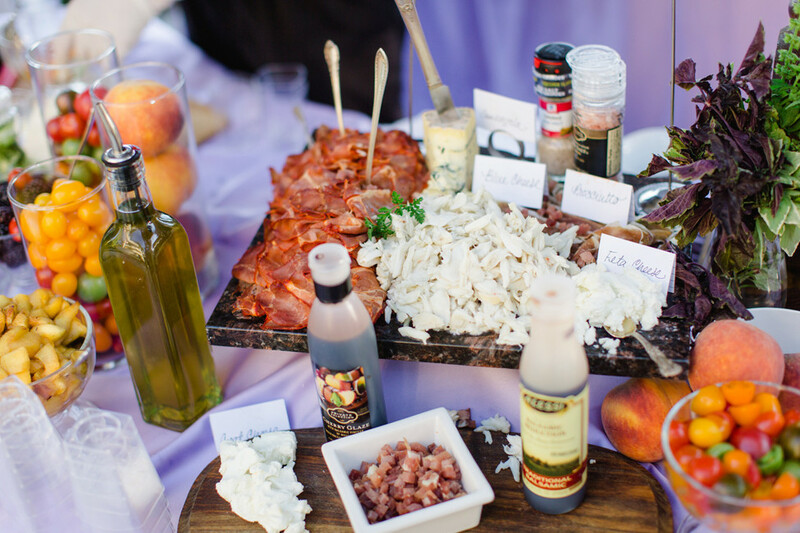 Rachel loves caprese salads in the summer, so Bistro Catering created a fall caprese station that included tomatoes, squash, grilled peaches and blackberries accompanied by various basil, cheese, meat and balsamic vinegars. 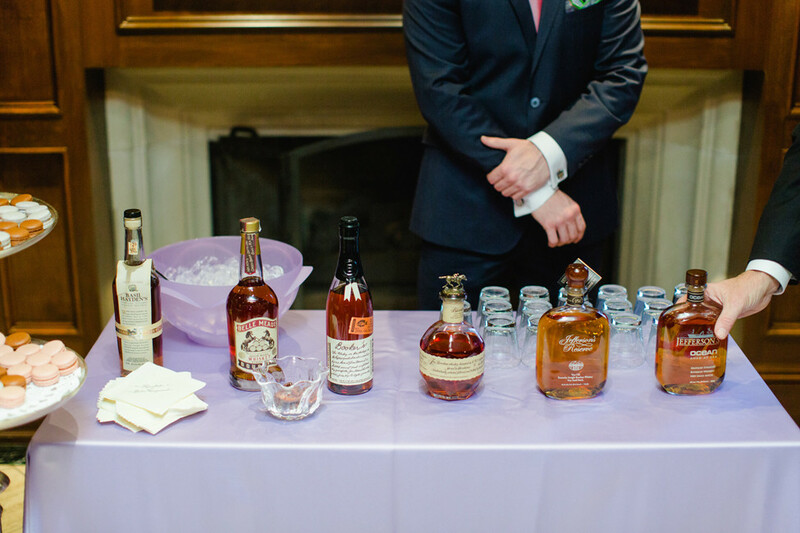 In lieu of a groom’s cake, the bourbon-enthusiast groom wanted to share some of his favorite batches with guests. Aaron Walters of Colonial Wine & Spirits served and educated guests on what they tasted at the groom's special bourbon bar.